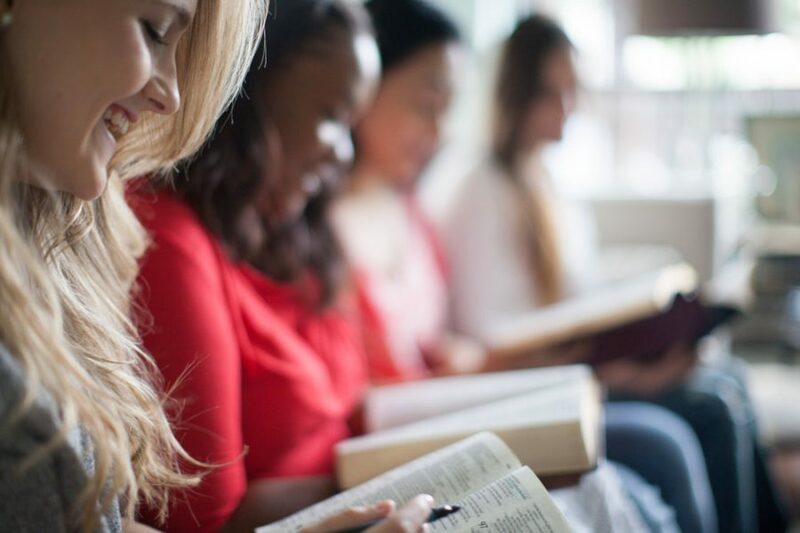 There are many great examples of strong, faithful, courageous, and influential women in the Bible to learn from. Hannah was barren. She wanted a son but God had not granted her one. She begged the Lord for a child. In return she promised to dedicate this young man to God’s service. Her son was born and she followed through on her promise. She took the child to Eli the priest and left him to be raised in the Temple. She continued to have influence over the boy’s life through the years. Her son grew up to be Samuel—one of the most influential and godly men in the Bible. As hard as it may have been for her to do, she kept her promise. How many of us today would have done that? How many of us are actually women of our word? There is much to be learned from this lesser-known heroine in the Bible and lady of faith. Abigail’s story can be found in 1 Samuel 1:25. While she is described as beautiful in the Bible, unlike many other women referenced in the Old Testament, she is also described as “intelligent”, “clever” or “of good understanding”. On top of having beauty and brains, she was also brave. She was a humble woman, married to a wealthy but unscrupulous man named Nabal. She used her wisdom, along with her wealth to plead for the safety of her husband’s household. David, the future king of Israel, swore to seek vengeance after being insulted by Nabal, but was so moved by Abigail’s humble plea, that his heart turned. The next morning Abigail told Nabal that she had taken an offering to David and by doing so turned back the king and his 400 soldiers. Nabal was shocked to learn that his whole household could have been destroyed. So shocked, in fact, that the Bible says his heart died within him and he became as stone. Within 10 days he was dead. When David heard the news that Nabal was dead he sent for Abigail to become his wife. David saw within her a virtue of honesty and desire to protect her family. Esther, in the book of Esther, was a heroine who saved the Jewish people. She is recognized mostly for her strength, bravery and dignity. She was chosen by the Persian King Ahasuerus to be his wife in a contest, not knowing she was a Jew. When the king’s right-hand man, Haman, came up with a plan to kill the Jews, Esther’s uncle found her and pleaded with her to spare Israel. Even though she was his wife, she knew she was not allowed to approach him without invitation, and if she did, it could end in death. But she believed she was chosen by God to save her own people and agreed to go in front of the king anyway and won his favor and her people were saved. She didn’t let her fear or position stand in her way. Because of Esther’s bravery, the Jews were saved. Ruth is another example of a humble, contrite woman of God. She is a type of all those who had been separated from God but received by God by grace alone. Boaz, whom she would later marry, was symbolic of Jesus Christ Who receives us, even though we are most certainly not worthy. Remember that the Moabites were a pagan people and were forbidden to enter into the land of Israel not to mention intermarry with the nation. Neither are we worthy to enter into a relationship with the Lord but that is why God’s grace is so amazing. Listen to the humility of Ruth who was entering into the nation of Israel with Naomi, “For where you go I will go, and where you lodge I will lodge. Your people shall be my people, and your God my God. Where you die I will die, and there will I be buried. May the Lord do so to me and more also if anything but death parts me from you” (Ruth 1:16-17). These words of Ruth so embody what being a follower of Christ should be. Those who are followers of Christ are disciples and disciples are to follow Jesus wherever He goes. Ruth’s humility fits nicely what is written by James that “God opposes the proud, but gives grace to the humble” (James 4:6) and by Peter, that He “resists the proud, But gives grace to the humble” (1 Pet 5:5). Mary, the Mother of Jesus is one of the most recognized and admired figures in the Bible. She is notable also for her humbleness and willingness to serve God, even when she faced the unknown. When the angel came to Mary saying that she was favored by the Lord and that the Lord was with her, she was confused and nervous, but instead of letting fear get the best of her, she said “I am the servant of the Lord; let it be to me according You word” (Luke 1:38). Just like that, she let His will be done. Mary is a great example of how Christians should aspire to be in all circumstances. His will, not ours. This woman was about the most humble and submissive servants of God mentioned in the Bible.